The Hanoitimes� – Deposits at three major state-run banks stood at VND2,550 trillion (US$110.04 billion), accounting for 46% of total deposits at 28 banks, CafeF reported. 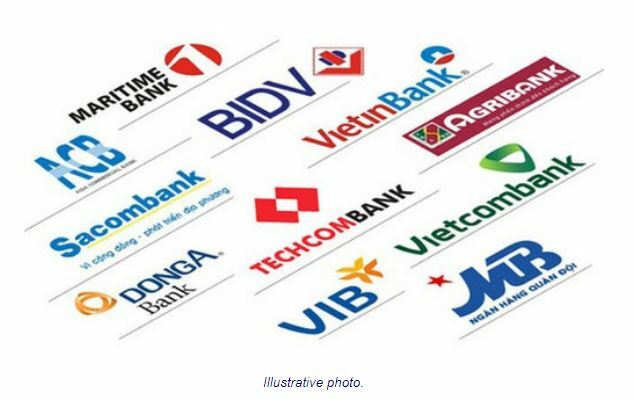 Deposits at 28 banks operating in Vietnam as of September 2018 reached VND5,495 trillion (US$236.88 billion), up VND488 trillion (US$21.04 billion) or 9.76% compared to the beginning of the year. Among those banks, only a handful witnessed a decline in deposits, including Lien Viet Post Joint Stock Commercial Bank (LienVietPostBank), Tien Phong Bank (TPBank), An Binh Commercial Bank (ABBank), Petrolimex Group Bank (PGBank) and Saigon Commercial Bank (SaigonBank). Notably, deposits at the three major state-run banks, namely Bank for Investment and Development of Vietnam (BIDV), Vietnam Joint Stock Commercial Bank for Industry and Trade (Vietcombank) and Joint Stock Commercial Bank for Foreign Trade of Vietnam (VietinBank), amounted to VND2,550 trillion (US$110.04 billion), accounting for 46% of total deposits at 28 banks. In the third quarter of 2018, the State Treasury had deposits of nearly VND48.7 trillion (US$2.1 billion) in these three state-owned banks, accumulating a total of VND218.56 trillion (US$9.43 billion) .